Today the Library of Congress, the Government Printing Office, the U.S. Senate and the U.S. House of Representatives came together to announce the launch of the beta version of Congress.gov. 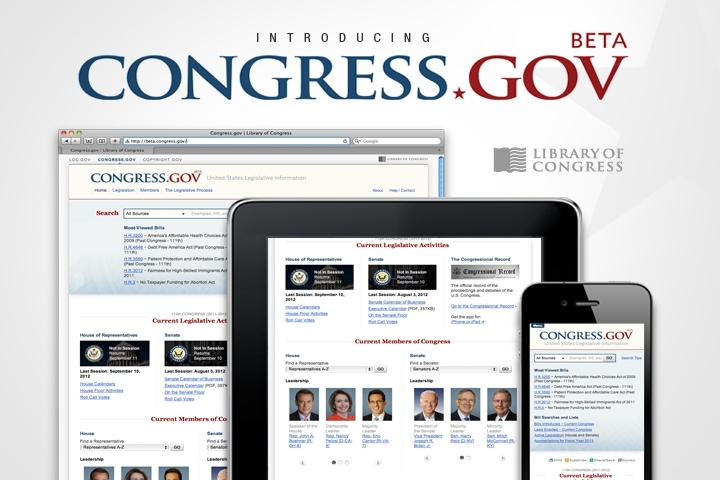 This new site, which will eventually replace THOMAS, already offers access to information on the status and language of bills, video of the House and Senate floors, biographical information about individual members of Congress and videos explaining the legislative process, and more features from THOMAS will be added to the site over time. It is designed to be user-friendly, with a focus on improved search functionality, including the ability to narrow results with facets. The site also works on mobile devices so that you can continue your search on the go without installing a separate app. Check it out and let us know what you think!